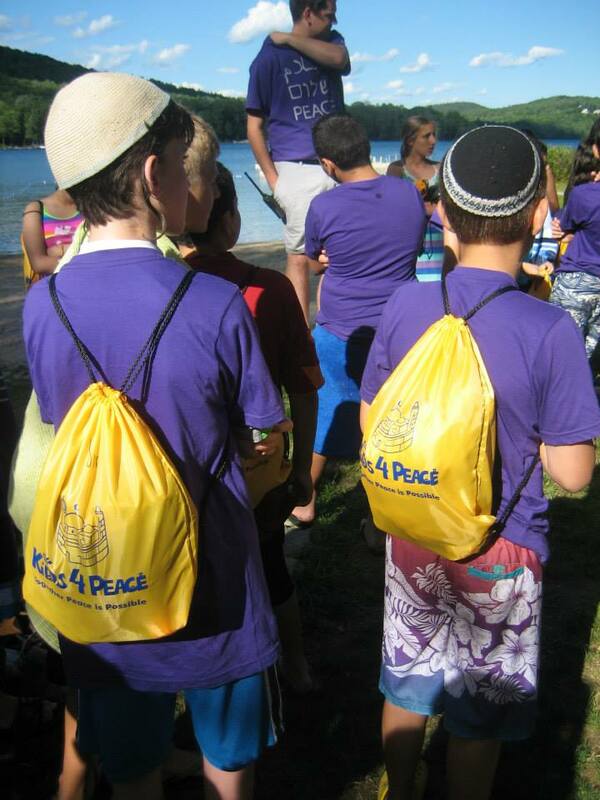 Another exciting, action-packed day at Kids4Peace! After an early start and a sad goodbye to Camp Merrowvista, our home for the last 8 days, we loaded our bags onto the bus and headed back down to Boston. The amazing singing talent of our kids was showcased all the way back from camp to the delight of the staff. All of the kids promised to keep their day jobs. Our first stop today was the Islamic Society of Boston Cultural Center where we had lunch before a quick tour and Jummah prayers. After prayers and a compelling sermon by a guest Imam, we sat with our friend Nancy who answered a number of thoughtful questions we had about the service and Islam in general. She was very knowledgeable about the history of the ISBCC and commiserated with us about the difficulties of parking in Boston. She spoke about peace in Islam and helped us understand more about the practice of Islam in Boston and in other parts of the world. After the masjed, we moved into our new accommodations in Newton, MA and enjoyed some easy time and a fabulous PIZZA DINNER!! Although we miss Camp Merrowvista, we certainly can’t complain about the pianos we can play, the beautiful soccer fields, comfy beds, and air conditioned rooms! We then walked to Temple Shalom of Newton where we had another quick tour before song filled Shabbat services. Rabbi Gurvis and Rabbi Abrasley spoke passionately about the importance of keeping an open heart and bravely loving others…even if you don’t get along with them. The congregation praised us for the hard work we’re doing, reminding us all that what we’re doing at 12 years old, some people never do in an entire lifetime! They even showed their gratitude and support with ice cream during the Oneg! Woohoo!!!!! After the walk back (we got in about 3 miles today) the kids got ready for bed, Gabe turned into a soap zombie but he seems to have gotten better. Long story short it was a long day! And we look forward to a slower paced Shabbat day tomorrow while we await our Church visit on Sunday.